AEDs are very accurate and easy to use. With a few hours of training, anyone can learn to operate an AED safely. 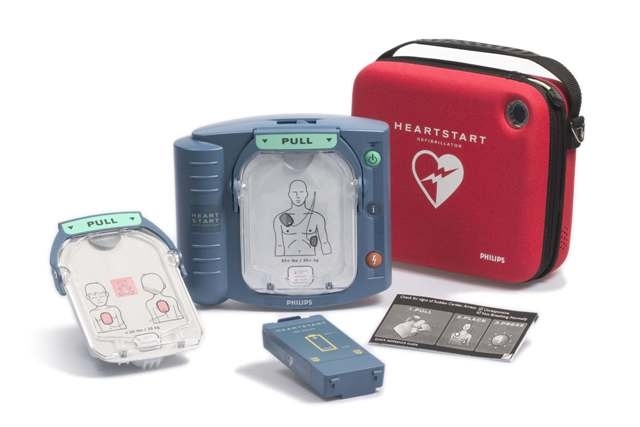 There are many different brands of AEDs, but the same basic steps apply to all of them. The AHA does not recommend a specific model. When would you need to use an AED? Cardiac arrest usually occurs when your heart's electrical activity becomes disrupted and the heartbeat gets dangerously fast (ventricular tachycardia) or chaotic (ventricular fibrillation). Because of this chaotic, irregular heart rhythm (arrhythmia), your heart stops beating effectively and can't adequately pump blood. During cardiac arrest, your brain and other vital organs quickly become starved of blood and the life-sustaining oxygen and nutrients it carries. You could die within a few minutes, or if you survive, you may sustain permanent damage to your brain and other organs. The sooner your heart's rhythm is restored the better, since each minute is critical to determining your chance of survival and how much damage you might have. Although cardiopulmonary resuscitation (CPR) is a vital step in the lifesaving process and can keep some blood flowing to your heart and brain for a short time, often only defibrillation can restore the heart's normal rhythm and ultimately save your life. This is especially true in case of abnormal heart rhythm known as ventricular fibrillation. If you use an AED on someone, it's still critical that you call 102 or your local emergency services to get help on the way before you begin using the AED.